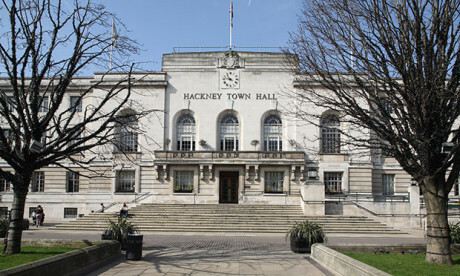 The Town Hall is to bring the majority of support services for unpaid adult carers in-house, following a “decline in satisfaction” from Hackney’s carers. While some services associated with prevention, early intervention and outreach will still be delivered by external providers, the council’s existing social workers will now be undertaking the assessments and reviews of carers designed to identify what support they need. The Town Hall hopes the new model will help fix problems with its current voluntary and community sector partnership scheme, ‘Carers Are The Bedrock’, which sought to enable carers to choose who assessed them but has since been found to deliver a “fragmentation of approach and experience”. Gareth Wall, Hackney Council’s head of commissioning for adult services, said: “This is a proposal to insource care assessments, annual reviews and the support planning that goes on with unpaid adult carers, which currently is externally delivered. “What we are proposing is to insource this from existing roles of professional social workers and staff who will be undertaking these pieces of work. “Of course the first question from that is, ‘How will they fit that in? They’re already busy people’. So as a larger piece of work, we are changing our practice model to a framework called ‘3 Conversations’. Under the 3 Conversations approach, outsourced services will continue early intervention and prevention work under ‘Conversation 1’; long-term and targeted support will be delivered by the council under ‘Conversation 3’; and crisis management and signposting, or ‘Conversation 2’, will be spread throughout the entire service. Commissioners at the Town Hall are also making the changes in response to concerns that the current service model for carers, predominantly outsourced, does not fully allow the council to perform its statutory duties under the Care Act 2014. In a consultation carried out at the end of last year, carers had a number of issues with services within the borough, including a lack of clarity over what was on offer, inconsistent and poor quality assessments, and poor communication with too many organisations involved in the process. In feedback given from the consultation, carers asked for proactive outreach and support, rather than having to initiate the process themselves, as well as “high quality and consistent” assessments. In response, the council has committed to building trust by providing a better service experience.